Merry Christmas! Today is officially the last day of 25 Days of Christmas. Awww. But it’s not over yet! Please welcome Joselyn Vaughn! When I saw that Brea would be posting my blog on Christmas Day, I panicked. What could I write about for Christmas Day? I haven’t been looking forward to the holidays because this year all our celebrations will be different. My brothers and sisters and I won’t be able to gather at my mother’s on New Year’s for our traditional oyster stew, chili and chicken noodle soups because my mother has moved to a new place and the old place is completely gone. And so all our traditions will be a little new. But the place isn’t as important as the people. The same family will be able to search for seats around the tables and we’ll still have to count the plates and people a dozen times before we get the math to work. (You’d think that would be easier with the number of engineers and math majors in my family, but we always seem to be one seat or plate short.) The guys will camp out in front of the television, arm-chair reffing their favorite teams and the girls will crowd around the table as Mom deals out the Flinch cards and complains about everyone stacking their deck. We will still be able to enjoy the time no matter where we are because we are together. Wishing you and yours all the best whether you are celebrating old traditions or new. Merry Christmas Eve! 25 Days of Christmas is winding to a close. Today, we have Cesya MaRae Cuono, author of The Elemental series, visiting with us! Heyall, Cesya here. Merry Christmas Eve! I’m so glad I got this spoton Brea’s “25 Days of Christmas” blog event. And what betterway to kick off Christmas Eve than to share my family’s ChristmasEve tradition with all of you. So,as all of you know (or don’t know) I’m Ukrainian, Italian,German, Russian, and Dutch but mainly grew up on the Ukrainian sideof traditions. Before my time, our Christmas Eve wasn’t untilJanuary 6thbut as the times moved on it was celebrated on December 24thwith all other religions. Since the changing of our Christmas Eve,our Christmas celebration goes from December 24th-January6th(Feast of the Epiphany). The Christmas Eve Supper or Holy Supper(Ukrainian: Sviata Vecheria) is a very family oriented time. It’s atime dedicated to God, family, and ancestors. Dinner doesn’t beginuntil the first star appears in the sky. This star is believed to bethe Star of Bethlehem and symbolizes the trek of the Three Wise Men.The table is covered with two tablecloths, one for the ancestors ofthe family, the second for the living members. In the old days haywas laid out under the table as well as under the tablecloths toremember that Christ was born in a manger. The table always has oneextra place setting for the deceased family members, whose souls,according to belief, come on Christmas Eve and partake of the food.This year our table will have two place settings, one for mygrandfather and one for my grandmother. Nowit’s time for our twelve-course meatless meal. There are twelvecourses in our Holy Supper, because according to the Christiantradition each course is dedicated to one of Christ’s Apostles. Thefirst course is always unleavened (flat) bread and wine, whichrepresents Christ’s body and blood. It’s the main dish of ourwhole meal. The next course is honey which represents a sweet year tocome. Then on to garlic which represents the ending of an old year.We’ve combined the first three courses and eat our bread with thehoney and garlic on top and drink the wine with it. The next courseis our soups: Cabbage and Split-Pea. The foods to follow in theremaining courses are prunes, fish (crab, shrimp, and tilapia),mushrooms (cooked in onions and butter), pierogies (homemade), saltand pepper (yes, they’re considered a course), and our desserts areassorted fruits and nuts. Sonow you have my Christmas Eve traditions. I hope you learnedsomething new! And I wish all of you a Merry Christmas and a safe andHappy New Year! Today we have Erin Danzer on the blog, sharing her traditional Christmas breakfast with us! It sounds–and looks–so yummy! Every Christmas morning when I was growing up,my brother, parents and I would wake around 7, turn on Christmasmusic and take turns opening the gifts Santa had left us during thenight. While we opened gifts, the meat pies my mom had made earlierin the season would heat in the oven. The sharp smell of sage mixedwith the meat would permeate the house, making us salivate withanticipation. Finally, it would be time to eat. We would go to thetable, cut the pies in quarters and dig in, always with a chilleddill pickle on the side. 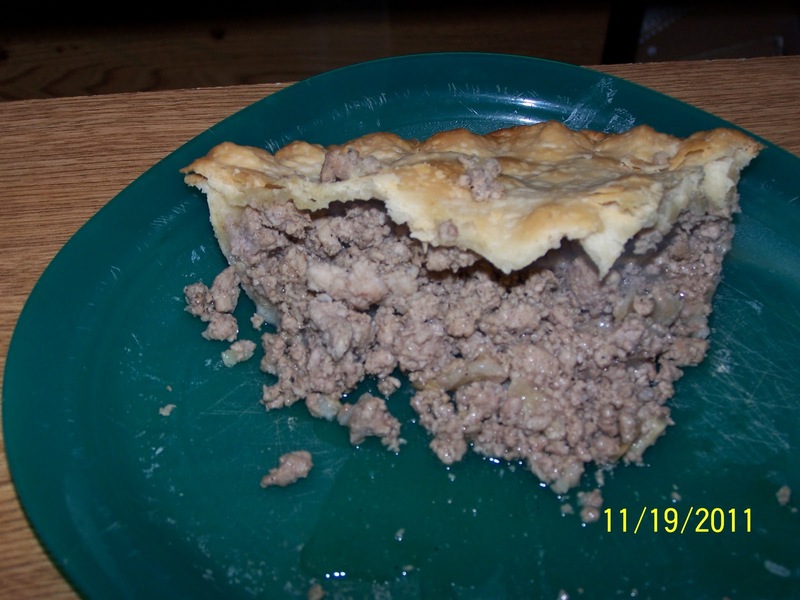 According to my Aunt Sharon, a history teacheras well as family historian, meat pies have been passed down thefemale side of my dad’s family for several generations, brought tothe States by my great grandmother DeRosier. Correctly calledTOUQUERES (pronounced like “two cares”), meat pies are thetraditional French pastry eaten after mass on Christmas Eve/Day. Thattradition is the one my aunt, dad and their family followed growingup. The meat pies would be baked during the day on ChristmasEve. Then after midnight mass, they would come home, heat up and eatthe meat pies, open presents and then go to bed well fed and alreadyknowing what Santa had brought them while they were at church. Meat pies have been my Christmasbreakfast for as long as I can remember. Now, I share the traditionwith my husband and two sons. Someday (many years from now), I hopeto pass on the tradition to my future daughters-in-law. But for now,I’m happy to share the tradition with all of you. Brown meat until all brown. Drain just aboutall fat off. Add enough water until meat is slightly covered. Addseasonings (I’m not sure on measurements here. I put a few dashesof salt and pepper and about 2-3TBP ground sage) and let simmer 20minutes. Make pie crusts and line pie pans. Fill abouthalf full or little more with meat. (I add a couple spoonfuls ofwater here to keep it moist while baking.) Cover with top crust andseal. Put hole in middle of top crust. Bake in 400-degree oven until golden brown(roughly half hour). For Freezing:Bake 15 minutes. Cool and cover with aluminum foil. Later bake in425-degree oven for 45 minutes. Thank you, Brea, for having me on your blogtoday and sharing my favorite holiday tradition and recipe. Toeveryone, Merry Christmas and Happy New Year! 25 Days of Christmas continues with Allie Burke, author of the Enchanters series! I just have to add that Allie is one of my new favorite people and new favorite authors. Take it away, Allie! Ibelieved in Santa Claus long after I probably should have. Actually,when I met my husband somewhere around ten years ago, I tried toconvince him that Santa Claus really did exist. I was, oh, I don’tknow. Fifteen. Thisfact, together with my love for the Christmas season, contributed tomy fascination with a new Santa Claus I learned of when I spent myfirst Christmas with him and his family, somewhere around three yearslater. Myfather in law is someone who I love very dearly. But he’s strange.Strange, like me, and as such, when I first heard him mumbling thewords to a Christmas song I’d never heard before, I was intrigued.Intrigued, because I’d never heard it before, and intrigued,because I hate Christmas music. But you couldn’t hate this song. Itsounded so innocent and so soothing sung from this Dutch-Indonesianman’s mouth, and I just had to know more about it. Iwhispered to my husband as his father disappeared down the hallway,and with a disgusted look like he couldn’t believe my ignorance, hesaid, “Sinterklaas Kaopentje”. Like, of course I should know allabout it, or something. Thank you little Saint Nicolas! Ijust find it terribly awesome that at eighteen, I, the Christmasfanatic, had something to learn about Santa Claus. I think we shouldremember that Christmas may not look or sound the same in everyhouse, but it’s still just that. Christmas. MerryChristmas to you, from our home to yours. Today, we have Thomas Amo, author of An Apple for Zoe and the new Let’s Get Lade, visiting with us on the blog! Christmas is in fourdays and so many people lose sight of what this day actually reallyand truly means. For the kids, it means toys, to the teens it means,an iPad, cellphone, laptop, money. To the parents it means, can I payfor all of this and not use a credit card? 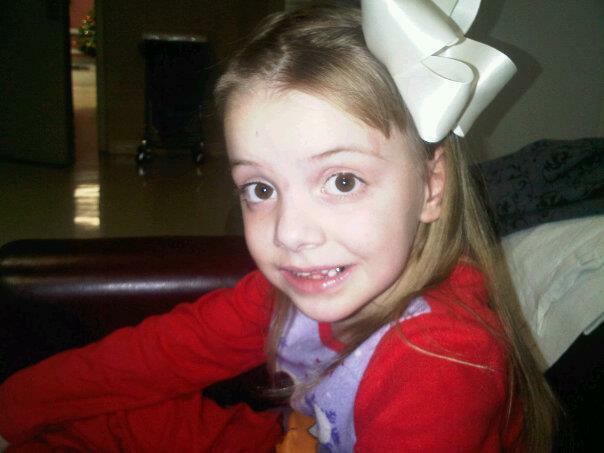 But for me, Thomas Amo,it means in a world that has become sometimes not a very nice placeto be, God is still God and a beautiful little girl named, AlyssaMowrey will be spending this Christmas with her family thanks be tohis mercy. Christin and I became friends via Twitter earlier thisyear. We spoke on the phone once and instantly she has that abilityto turn a complete stranger into more than just a friend, she makesyou feel like family. We tweeted and even came up with the hashtag#BNFF which stands for Best Nerd Friends Forever. Because we werenerds and nerds stick together. This caught on and others joined ournerd herd, but when the terrible accident that happened in Octoberthis year, when three little angels were hit by a car while crossingthe street, Christin reminded me that her unwavering faith in God andher humble attitude towards the events that would put virtually anyparent on a razor’s edge, she set the example to me of what aChristian is. Sadly, Mia, one of threeangels lost her life in that terrible accident. Some will feel if Godis so merciful then why didn’t all 3 survive. None of us can everknow that answer and I won’t speculate on it. My heart aches forthe loss of little Mia, because even though I did not know her, I amcertain her smile was brighter than any star in the heavens. For herfamily this is a time that they will need all the support and love wecan muster. Please include them in your thoughts and prayers. Alyssa has come leapsand bounds from where her life was two months ago. This is not to sayit’s an easy road ahead, Alyssa has a long way to go, but she has amother who will be right there taking every step with her. Christinhas never wavered in her faith and that is something we could alltake a good lesson on. So I look at the presents under my tree with adifferent eye today than I did last year. Instead of saying, I wantthis or I want that, I can say, I’m so blessed to have this andhave that. I thank the Lord for his mercy and letting us see Alyssaas the miracle and blessing she is and I thank Christin for showingme how to appreciate what Christmas really does mean. 25 Days of Christmas continues with Lissette E. Manning! I’vealways loved this season. Mostly because not only do I get tocelebrate both my birthday and Christmas, but also because I get toshare it with my sister. We’re not sure how Mom managed for us tobe born in the same month, but it’s kind of nice to have someoneclose to my own age who understands me in the same exact way Iunderstand her. Of course, my sister gets to have her specialcelebration so close to Christmas, too. Amazing,isn’t it? That so many of us can share in such a joyous occasionand become even closer than we were before. Didyou know that the date of December 25thwas one adopted by the Western Christian Church around theearly-to-mid 4thcentury in order to depict the birth of our Lord and Savior, JesusChrist? Truth be told, our Lord’s true birth isn’t actuallyknown. It’s been said it occurred between 7 and 8 BC. At least,that’s what historians say. Yet regardless of when Jesus was born,it’s still a cause of celebration. Christmashas allowed us to come together and celebrate this fact. It’sallowed us to let bygones be bygones and to be thankful for the worldaround us. To be thankful for our loved ones and the things we’vebeen able to accomplish. It’s a way for us to truly bond with thosearound us. A heart-felt celebration that can felt all around theworld. I’mthankful for my family. For my friends – those in real life andthose I’ve met online. I’m thankful because I’ve been able toachieve part of my dream and share it with all of you. Most of all,I’m thankful for the fact that God has given me another day inwhich to breath and to sing His praises. My relationship with Him maybe rocky, at times, but I think He knows that at least I’m trying. Sothis holiday season, embrace those around you. Embrace the lifeyou’ve been given and never look back on what could have been. GiveGod thanks for being there when we need Him. Mostof all, enjoy everything you do. Savor the moments as if they’reyour last and always remember those who couldn’t be here with us tocelebrate those moments and hold them close to your hearts. MerryChristmas and a Happy New Year when the time comes! GodBless and always the best to you all! Memories of the dead remind Annie Page of the world she’d once known. Renegade forces are closing in, seeking to command the little that remains. Yet she refuses to stand by and watch the world crumble. 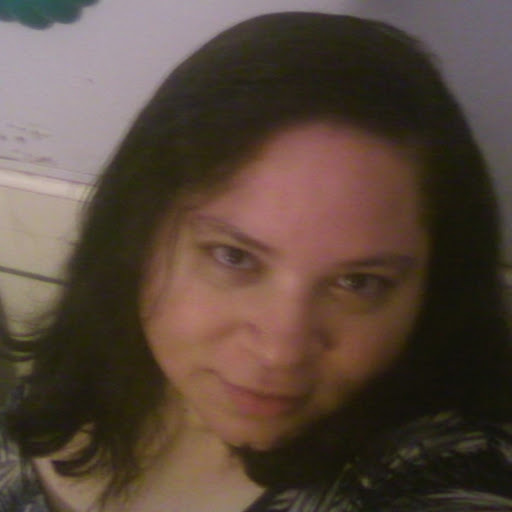 Nancy Medina is an author from Connecticut who writes under the pseudonym of Lissette E. Manning. She has been writing since she was eight years old and spends most of her time trying to place her thoughts into order and giving life to the stories that are always brewing inside her head. She enjoys listening to music, playing the occasional video game, watching movies, and spending time with friends and family. She’s also a bit of a computer geek. Her writing genres of choice are Science-Fiction/Fantasy, Romance, Paranormal, Short Stories, as well as Poetry. She’s currently working on several projects due out sometime in the new year, as well as her finishing her NaNoWriMo project, The Corsicanth Princess. 25 Days of Christmas continues with Felicia Rogers! On December 25, 2008, somethingwonderful happened. It was the beginning of a lifelong journey. This was the day my fabulous thoughtful husband gave me Billy Blank’sAmped Tae-Bo workout set. No worries ladies, I asked for thegift. On this day three years ago, I startedeating healthier and exercising. Since then I’ve lost over sixtypounds. I’ve done things I never dreamed of doing such as hikingeleven miles (round trip) to Mt. LeConte in the Great SmokeyMountains, lowering my cholesterol, and dropping four sizes inclothing. But even though I’ve enacted thischange, I still struggle to maintain a healthy diet during theholidays. I’m an avid couponer and one site I frequent is EatBetter America. This site is great for more than just coupons. Byjoining I received recipes to try. And boy, have I! You mention alow fat cheesecake and I’m so there! From this website, I’vetried Sweet Potato Casserole(http://www.eatbetteramerica.com/recipes/special-occasions/healthified-sweet-potato-casserole.aspx),Healthified Creamed Corn(http://www.eatbetteramerica.com/recipes/featured-brands/healthified-creamed-corn.aspx),and many others. So if you’re trying to eat delicious tasting,flavorful food this holiday season while maintaining your figurecheck out Eat Better America (http://www.eatbetteramerica.com/). Now that I’ve shared some of myfavorite healthy recipes I wanted to share one other. This is afamily favorite. Melt the margarine and combine with 2cups of graham cracker crumbs. Line bottom of 9×13 pan, reserving 1cup of crumb mixture. Over this spoon, 1 can of cherry pie filling. Dream whip, sugar, milk, and creamcheese. Whip at high speed until stiff. Once stiff, spread over piefilling. Next, spoon in the next can of cherry pie filling. Garnishwith reserved crumbs. Chill until firm, then serve. I hope you enjoy my favorite recipe. And remember, if you’ve struggled in this area, I’m right therewith you. And keep in mind, with perseverance lots of things canhappen, even becoming a published author! My latest work, There Your heartWill Be Also, a historical suspense with an inspirational twist. Onlydaughter of an English lord, Sarra of Greenbriar, is used to gettingher way. So when her father passes and the King begins sendingsuitors, she feels justified in taking matters into her own hands.Through a series of harmless pranks, Sarra works to keep thepotential husbands at bay. CedricMacNeil is a Scotsman that has lost it all. Death claimed his parentsand jealousy claimed his entitled position as Laird of his clan.Since his mother was a familiar of the English court, he leaves hisnative land and heads to England to fight on behalf of the EnglishKing. Tournaments are won, earning honor and glory for the crown.Cedric’s reward is the opportunity to gain what he wants most inthis life, land. Butas he gets to know Sarra, he realizes he might get more than hebargained for.